The Virgen de la Candelaria is the patron saint of the Canary Islands, the main centre of worship being the Basilica of Candelaria in the town of Candelaria on Tenerife. She is also widely venerated in the Americas, many Canary Islanders emigrated to the New World during the early colonial period and took the custom with them. 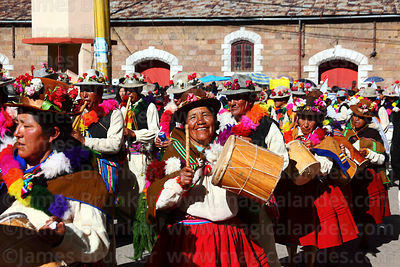 Puno, on the shores of Lake Titicaca, hosts one of the largest festivals in her honour at the start of February. 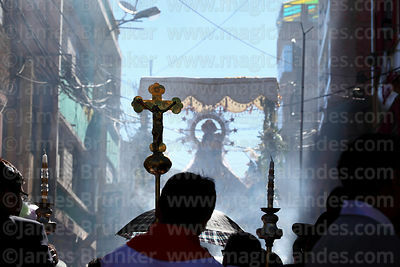 Celebrations last for around 2 weeks and feature many dance parades as well as religious events. The festival was declared a Masterpiece of the Oral and Intangible Heritage of Humanity by UNESCO in November 2014. 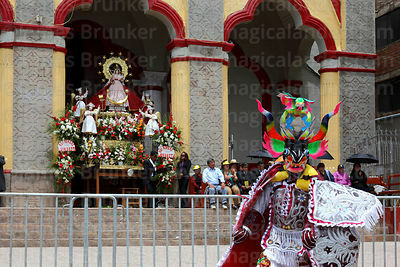 Puno is also known as the Folklore Capital of Peru due to the large number of festivals and dances held in the region. Images are divided into 3 separate sub-galleries to make it easier to find what you are looking for.